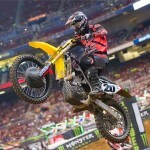 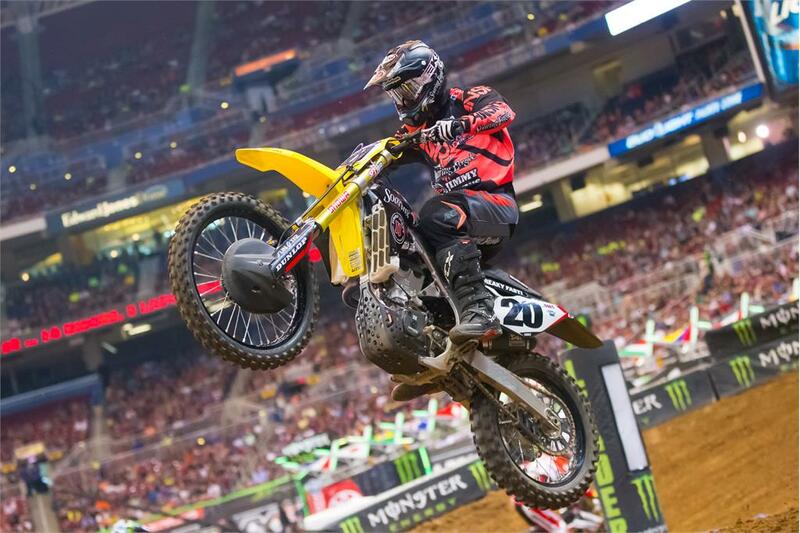 RCH Suzuki Factory Racing’s Ken Roczen put in another hard-fought podium performance aboard his RM-Z450 at round 14 of the AMA/ FIM World Supercross Championship at Edward Jones Dome in St. Louis on Saturday night – his third consecutive second position this season. 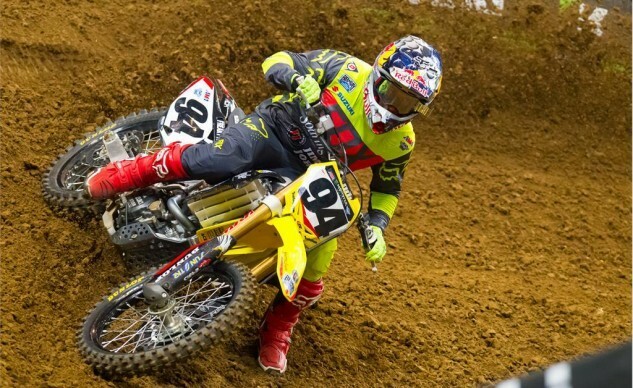 RCH Soaring Eagle/ Jimmy John’s/ Suzuki Factory Racing fielded three riders for the Monster Energy event; alongside Roczen were Broc Tickle and Jake Weimer – who has been a stand-in for Tickle as he recuperated from injury. 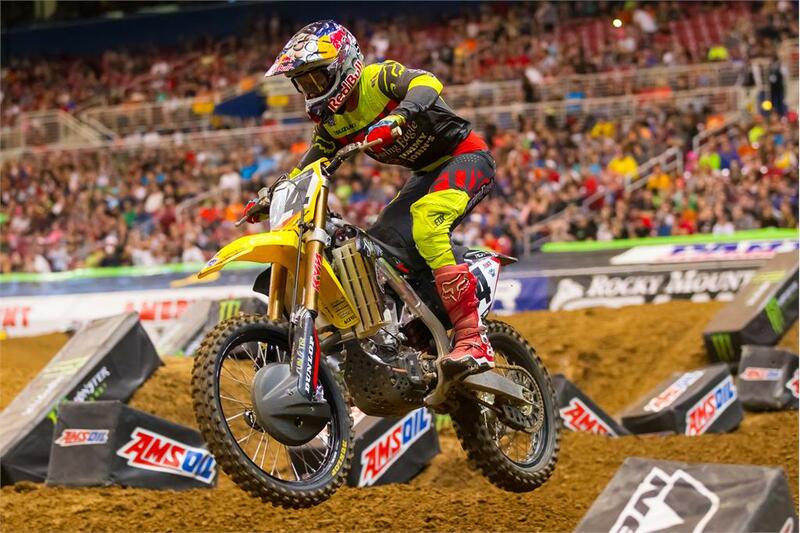 For the third week in a row, Roczen came up just short of the trop-step after waging a spirited battle throughout the 20-lap Main Event with points-leader and defending series champion Ryan Dungey. 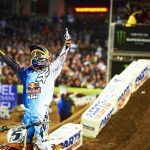 Roczen won the holeshot but Dungey had position on the 2014 Lucas Oil Pro Motocross Champion in the second corner and that proved to be the difference. 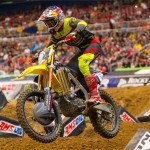 While Roczen stayed on his rear fender and kept Dungey honest for most of the Main Event, a small mistake just after half-way allowed Jason Anderson to take over second, but only for a few laps; the 21-year-old German rider stayed calm and patiently took back the position in the final corner to earn his fourth runner-up and ninth podium finish of the season. 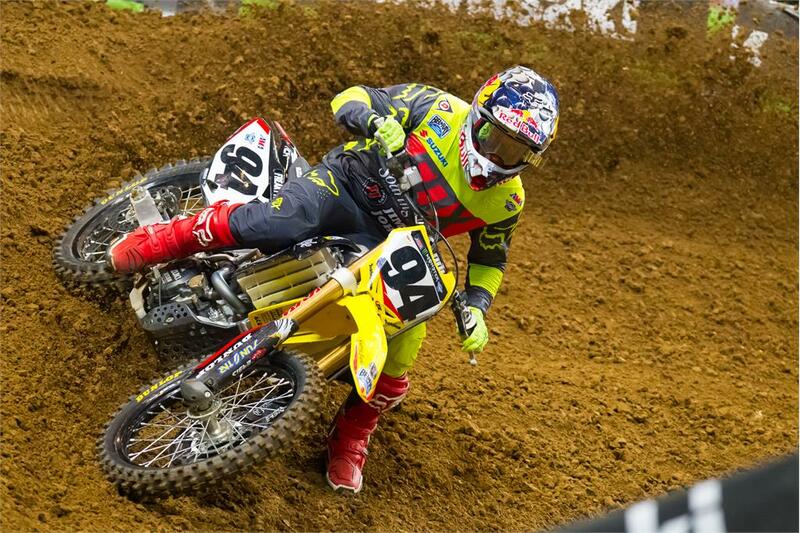 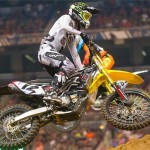 Both Weimer and Tickle had to race their Suzuki RM-Z450s into the Main Event via their respective semi-final races. 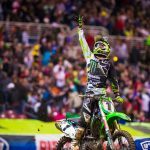 Weimer locked in his spot for the 14th race of the season by finishing third in his semi while Tickle picked-up his first semi victory of the year in just his second race back from injury. 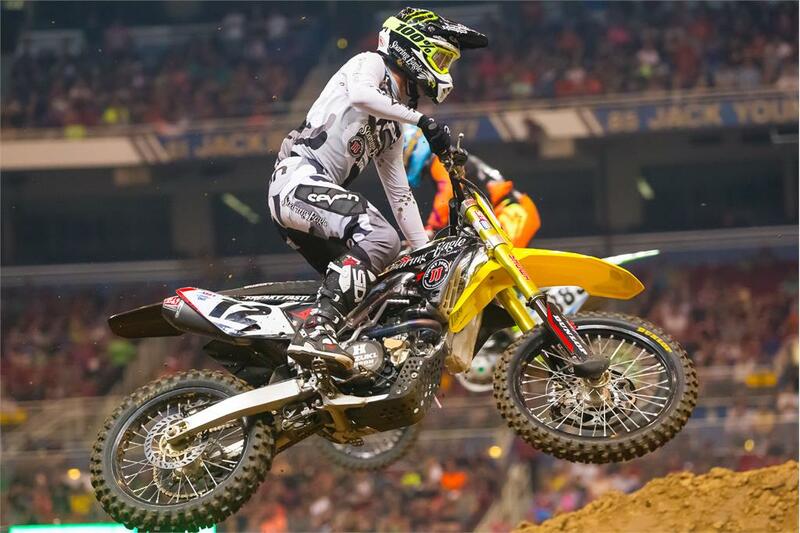 While Weimer was forced to play catch-up for much of the Main Event after brief get off early on, he wasn’t deterred, coming from deep in the field to finish 13th. 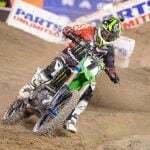 Monster Energy AMA Supercross returns to Foxboro this coming weekend for the series annual visit to Gillette Stadium and the home of the New England Patriots for the 15th of 17 races on the 2016 Monster Energy Supercross calendar.